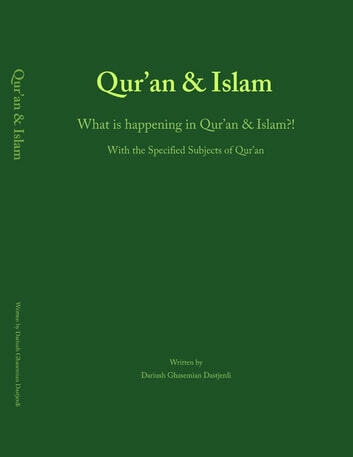 QUR'AN & ISLAM - What is happening in Qur'an & Islam?! 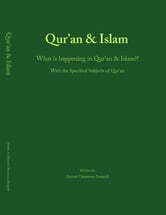 With the Specified Subjects of Qur'an. SPREADING PURE ISLAM AND THE HOLY QUR'AN (Understanding the truth, the meaning and the concept of God, the Holy Qur'an and Islam!) In today’s world where the growth of understanding and awareness of humans stands on a more desirable level due to the development of knowledge and science, it is necessary that the believers (deist) and humanitarians continually review their findings and have a new attitude toward them lest due to lack of adequate knowledge or the influence of ignorance and historic superstition, they are left behind of the truth of their World! So the Qur'anic studies with an attitude free of ignorance, prejudice and superstition creates the hope in a way that first of all we could understand the truth in a more logical and more pure way and secondly with this understanding, we would be able to cleanse the penetration of the ignorant off the human world’s belongings.